Just contributing a bit to my own AAC to give some template variety. This was originally some template converted to Gesior AAC by widnet, I have now converted it to work with latest Znote AAC (1.5/github). It is an old template but someone requested it. 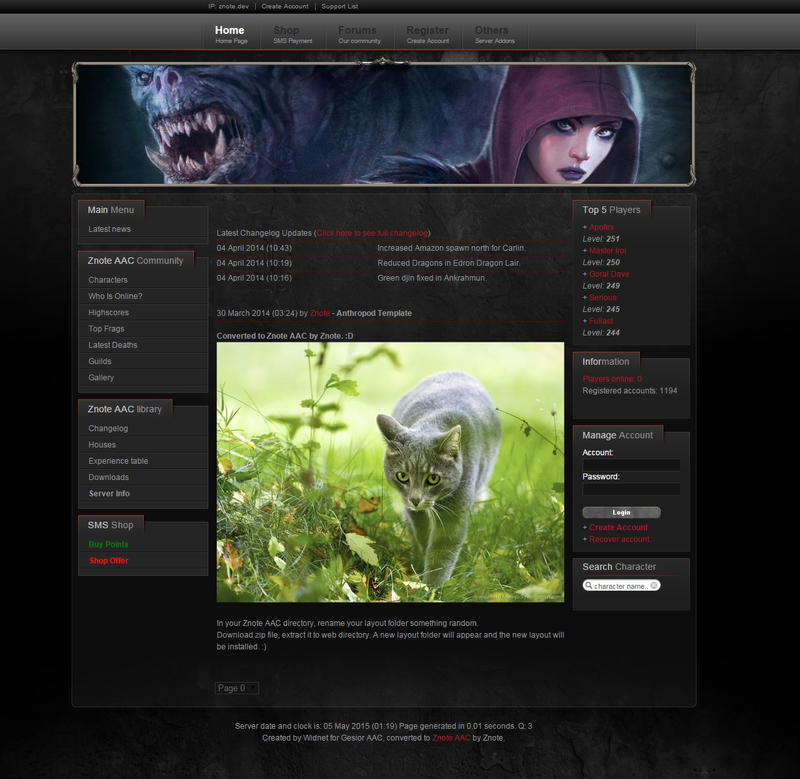 Update 30.05.2015: Added create character link, guild wars link and fixed token. Enter Znote AAC directory, and delete or rename the layout folder. Extract .zip into Znote AAC directory. Does Admin panel exist on this layout? I started to convert this sometime ago but got busy with something else. Yes, after you login to an admin. (which has to be manually configured in config.php). You see various admin links in the manage account widget after you login. Good work Znote, it's a really nice layout. You are doing something wrong then. Works perfect on my www, Thx znote! // TFS 0.3 = TFS_03 (If ur using 0.3.6, set $config['salt'] to false)! 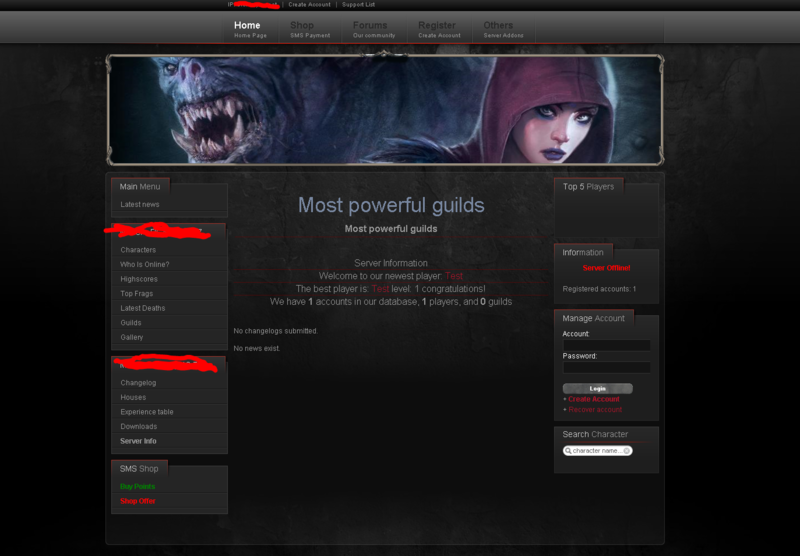 I just noticed that Createcharacter and guildwar.php is missing how do i add them? ppl not hard to add it good guys ! Update 30.05.2015: Added create character link and fixed token. Would this work for 1.2?